Home > Media > Who’s Making this Possible? The First Minister Nicola Sturgeon was quite right to pull out of the News XChange event next month and quite right to accuse the organisers of the risk of “legitimising or normalising far-right, racist views”. But the News XChange and the BBC’s explanations don’t make any sense. The problem is that Bannon doesn’t fit the rest of the programme. We see speakers from Reuters, ITV, Instagram, CNN, CBS, Channel 4, the New York Times, RTVE, Sky, the Huffington Post and more. But Bannon isn’t known primarily as a journalist he’s known primarily as a fascist. His influence isn’t over in America nor is it contained within it. “The rise of Bolsonaro is part of an international trend which is supported, directed and advised by a professional movement that is promoting the growth of the far right across the world – particularly in the US and Europe. One of the key leaders of this movement, and the most prominent, is Steve Bannon, the former chief strategist to the US President Donald Trump. That Bolsonaro secured 46% of the vote on Sunday 7 October was a result few anticipated. On the eve of the election Brazil’s two leading opinion polling companies predicted that Bolsonaro would lead the first round with 36% of the vote – a prediction which was shocking in itself given that only a month earlier he was polling around 24%. The BBC and News XChange has no reason to give Steve Bannon a platform. For those of you with any doubts about the state of the far right Brazilian candidate, the language he is using is chilling and violent. On Sunday Bolsonaro gave a confrontational video address to supporters, the pro-torture former paratrooper pledged to use the presidency to launch a frontal assault on his “red” political rivals. “Either they go overseas, or they go to jail,” Bolsonaro told thousands of cheering supporters who had packed Avenida Paulista, one of São Paulo’s main arteries, for one of his final campaign acts. Who’s Making All this Possible? This is an appalling decision by BBC News and BBC Scotland. They must and will be held accountable for this. Populism is a dangerous euphemism. The rhetoric from the BBC and News Xchange is tough-talking but deeply confused. In fact by giving Bannon this profile, this platform and this opportunity they are both endorsing and normalising his abhorrent worldview. The idea that you can confront fake news and disinformation by inviting its chief architect to be your keynote speaker is so laughably bad there is nothing more that can be said. Tony Hall, who is speaking or Donalda MacKinnon must be held to account for this appalling decision. Actually, the very idea of the BBC claiming to be “confronting fake news” is even more laughable given the volume of that very thing it spouts on a daily basis. I wonder if Donalda MacKinnon was consulted on the BBC’s decision to support News XChange’s Flirtation with Fascism gig in Edinburgh? She’s often the last to know. It’s puzzling me just who or what Bannon is supposed to be balanced against. What is the centrepoint of the showcased spectrum of opinion, if that is possible to determine? Surely the site could show us its workings, the calculus of extremity, the cut-off points beyond the pale. Or is it that Bannon helps disguise the centre of gravity in the panel selection, just as political parties marginally outflanked on the foaming fantasy fringes can attempt to masquerade as just a bit off-centre? ‘Populism is a dangerous euphemism,’ indeed. The views of Bannon et al, are racist, homophobic, anti-trade union and represent the far-right of the global elite. Clearly, Nigel Farage in the UK is perhaps most visible representative of this viewpoint. Their project is a far-right appropriation of the levers of State power on a global scale. At times they define themselves as ‘classical liberals’ who might sit somewhere to the right of such ‘Think Tanks’ as The Adam Smith Institute and other mouth-pieces for the super-rich. For ‘global free-markets’, one with a sense of history could well read ‘war’. For ‘freedom of choice’ one could read ‘populations controlled by coerced by business elites’. There is, it appears a strong faction within the global elite which includes Trump backers, South American Social Liberal Parties, Generation Identity and UK podcasters, who hide behind the veil of terms like ‘populist’ and ‘classical liberal’ but you don’t have to peer too far beyond that veil to find that these people are, in the correct sense of the English language, Fascists. Ms Sturgeon should be congratulated for her clarity of viewpoint here; sadly the inclusion of the far-right seems to be the default position of the BBC. Thus the invitation given to The Ugly Bannon by the BBC/EBU shouldn’t really come as too much of a surprise. Do you know why Nicola Sturgeon was invited and if other politicians were asked? I just had a look at the speakers listed on the News Xchange site and most are media folk. Personally I think Bannon’s populist nationalism has a lot going for it. A focus on the nation’s citizens for a start. Clearing the corrupt Neoliberal public sector swamp another. And yes, like the USA, Scotland haes a gey muckle slump tae souk oot tae. The FM should not be afraid to debate with anyone. Running away is no solution to anything. Had the FM’s preferred candidate (Clinton) won there would probably be conflicts all over the Mid East by now, and elsewhere too. Let’s not forget the FM is not perfect either, hey none of us are. But this self-righteous ‘no platform’ stuff is getting really tedious. And while were at it, lets invite President Trump over to Bute Hoose for tea and Tunnocks teacakes an aw. Lets remember that Donald Trump would have a vote in Scotland under the rule of parental descent, whereas the SNP’s crazy dilettante ‘residence’ franchise strategy lost us the vote in 2014. Let’s start being nice to people for a change! Especially to people who can help Scotland’s Cause. On no-platforming I agree with you too. Sometimes it’s necessary to come out and challenge. What I can’t understand is why NS got an invitation and other suitable political types didn’t. Now I know we should trust the BBC, however, while they were outraged and indignant that Sturgeon turned them down, I’m also imagining the headlines had she attended. “Sturgeon /SNP share platform with Bannon” and so on. So maybe that’s why she’s decided to stuff that for a game of sodjers. We all know that the leader of the Labour party, Jeremy Corbyn, “shared” platforms, or merely sat in a room, with anti-Semites, so Nicola Sturgeon would be painted with such a brush, if and when it suited those in a position to do a hatchet job on the SNP. No surprise you Bannon Alf as you support Trump and you regularly spew your racism on this site. Writing in some mouthy Scots “And while were at it, lets invite President Trump over to Bute Hoose for tea and Tunnocks teacakes an aw” doesn’t hide what racist nonsense you come out with. That it’s somehow incumbent on BBC Scotland to offer a free platform to a fascist political operator is an extraordinary position to take. That does seem a wee bit OTT, Ed. Did Hibs get beat or something? Trump got elected because he gave hope to many many Americans who had lost their jobs, were at the bottom of the pile. His slogans of making America great and of draining swamps are messages that could well echo here. The populist message of giving back pride, creating jobs and seeing off the enemies who having been doing you down, is an attractive one. The UK is swamp. Neoliberal abuse runs deeper by the day, and the politicos do nothing to change things. In Scotland we voted no to independence on the message that it would keep us in Europe. We then voted in 56 out of 59 SNP MPs to compliment an SNP Scottish Government. We voted 63% in favour of staying in Europe and most certainly did not vote for a Tory government. And so, in parallel with many of the voters in the US, what not to like about Trump. The Germans after all liked Herr Hitler, or at least until it all went wrong. And in Ireland they voted for peace, an Assembly and a Good Friday Agreement only to see it twenty years later trampled underfoot – and who cares if the Irish shoot each other. That was the implicit challenge from the heart of Westminster. Maybe they will, hopefully they won’t. But what not to like about a leader, or a movement that says it will drain the swamp. A seductive message indeed to ordinary folks under the relentless tide of social, economic, and electoral austerity. Seductive? Perhaps But it’s the people who vote for that evil that suffer. Whether at the start, or at the end, like Nuremburg. I’m struggling to imagine how Steve Bannon’s absurd notions about racial purity might be applied in Brazil. “…corrupt Neoliberal public sector swamp…” Chortle! Alf’s automatic alt-right sentence generator seems to have developed a glitch. Neoliberals don’t believe in a public sector. Perhaps Alf would care to give us an update on what progress the Trump crime syndicate has made in draining America’s swamp of corruption? Graeme, neo liberals indeed do believe in the public sector. A private NHS, private prisons, private military, private DHSS. Group 4, ATOS, Capita, the utility companies such as water gas electricity the ports sold out by Thatcher, the railways, the list goes on and on. That’s neo liberal public service, and I think Alf knows so to. In fact one of Alf’s big concerns, and something he actually knows a lot about is the ports in Scotland, sold off and absolutely pillaged for profit. Neoliberal swamp. We’re up to our necks drowning in it. Maybe you haven’t noticed Graeme. Maybe we’re living the dream. Thanks Willie. As you suggest, we might mention a few other sectors such as Scotland’s major airports likewise owned and fully exploited by non-transparent offshore equity funds acquired via leveraged deals with money from ? and where even the ex top civil servant in Scotland became a cheerleading chairman, and of course the ongoing ferries farce where Scotland doles out the largest public ferry subsidy in the world yet provides one of the poorest services, and PFI more generally which is still around in some shape or form (e.g. MV Loch Seaforth), plus £billions worth of longterm debt piled up, PFI schools etc still crumbling, not forgetting the recent past and Trams, Holyrood building etc etc. As you note above, public trust has gone in all politicians and indeed across the public sector. I estimate there are now some 20,000 or so public/semi-public sector elite heid bummers in Scotland on salaries of £100k-£400k a year (£2 bn?) all aye looking to boost their well above average-wage pensions who administer all this Neoliberal rents interception and whose main challenge will be which private school to select for the next generation of our privileged Neoliberal elite so they might continue the process. Scotlan’s a gey muckle slump an maist fowk noo kennit. Hahaha…. and Bannon and Farage etc have the answer to these problems? I think not. Neoliberals believe in the free, unfettered market and asset-stripping the public sector. Neoliberal rhetoric has certainly infected discourse in and about the public sector and caused serious damage to society and the economy, but the term ‘neoliberal public sector’ is a nonsense. Graeme, don’t forget that the public sector is supposed to regulate as well as facilitate private sector activities/investment. Yet even in Scotland there are sectors where this ‘regulation’ is extremely laissez-faire (by international standards), with investment not facilitated as it might be, and there are certain instances where the private sector more or less regulates its own activities, even in near monopoly situations, and always in its own interest of course. Tory de-regulatory and extreme UK-style laissez faire ideology readily finds a home in Scotland, even today, and yes even where the Scottish government has some responsibility and powers. Civil servants (UK ‘Home’?) in Scotland appear still to be working within a UK political/ideological (i.e. Tory) context whilst many Holyrood MSP’s seem none the wiser. Willie mentioned major privatised ports, which is a good example of a rather extreme laissez faire approach. And if your ports aren’t right then neither is your economy. Airports are another area, as is public procurement more generally, land (reform? ), not forgetting even universities, private schools, and a number of certain other ‘institutional’ arrangements etc etc. There are lots of nasty things in a swamp, though I accept it is murky and difficult to see through it at times, perhaps more especially for those who have been happily swimming along in it for some time. Edinburgh Airport, the one chaired by Sir John Elvidge, is run rather badly by Global Infrastructure Investments, an infrastructure investment fund headquartered in New York. I’m not sure how either it or ‘private schools’ can be seen as part of a ‘corrupt Neoliberal public sector’. I think what you may be getting at is Scotland’s particular brand of corporate managerialism, a baleful product of neoliberal thinking now equally at home in the the private, public and university sectors. It’s conceit and venality are only matched by its incompetence. The middle seems to be getting thinner as the populists (and Momentum Labour) become more prevalent on the ground and life. 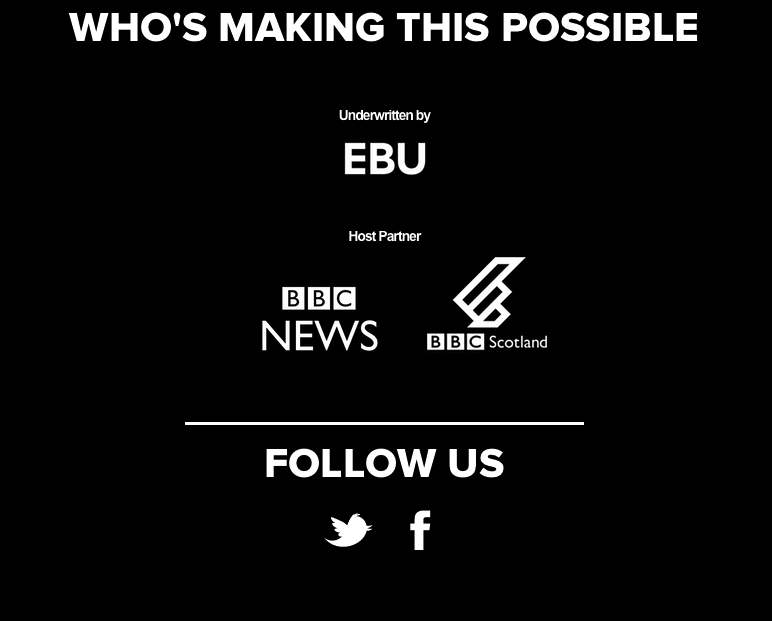 Stand up to Racism condemns the invitation of the European Broadcasting Union’s News Xchange committee to Alt-Right guru Steve Bannon to speak on 14 November at its event in Edinburgh. Organisers describe Bannon as a “political strategist”. He is attempting to build an Islamophobic international of far-right groups and is looking to fascist Tommy Robinson here in Britain as a key figure for his movement. Bannon was the white supremacists’ link to Donald Trump’s White House until August 2017. He is due to speak from 11.25-11.45am on 14 November at Edinburgh International Conference Centre. We welcome Scottish First Minister Nicola Sturgeon’s decision to pull out of speaking at the event and agree with her view that giving Bannon a platform risks “legitimising or normalising far-right, racist views”. 3) show that racism has no place in our society. Support, and attend if possible, the TUC backed national demonstration of unity against fascism and racism organised by Stand Up To Racism in London on 17 November, and the annual STUC St. Andrews Day anti-racist march and rally in Glasgow on 24 November. Contact sutrscot@gmail.com for more information. You are absolutely right Mike. Bannon is a media manipulator not a journalist. His invitation is the equivalent of inviting a fox into the chickens. It’s an extraordinary decision. Jings MBC, virtually everybody in politics is a ‘media manipulator’. And many of the chief manipulators are journalists. Superb article, Mike. And frightening stuff… Bannon really knows his social media manipulation techniques… what he pulled off for Trump with “Facebook for Politics” in 2016 was pretty breathtaking. We know lies were fabricated and sent out to targeted individuals by campaigns Bannon led. If the same techniques are being used in Brazil now too, then this Brazilian election coming up at the weekend is going to become the stuff of Fascist legends. The BBC has form in projecting, normalising and cuddlyfying extremist right-wing proponents by championing unknowns such as Nigel Farage until he became one of the most frequent guests on “Question Time”. This welcoming of Bannon into the company of policy makers and Europe’s top news broadcasters as a news-manufacturer and election winner for right-wing billionaires is a step up from that. This one shows breathtaking disdain for any ideals of journalism in the public interest. Glad NS called them out on this… The BBC is in trouble. Weren’t they public service at one time? Rather strange that a website concerned with Scottish politics should make such a fuss over an American journalist whom you claim ,without any supporting evidence, to be a fascist while not commenting on the fact that Scotland’s current Health Secretary was a member of the Communist Party until she was in her 30’s. Communism has done much more damage to the human race than Fascism. The two most prolific mass murderers in history were the Communist dictators Stalin and Mao. Hitler comes in a distant third. “Tobacco kills up to half of its users. People in free capitalist societies have choices. One of these choices is whether or not to smoke tobacco. The victims of the Cultural Revolution and the Gulags did not have a choice. I’ve created a petition asking BBC Scotland to withdraw their support from this event. Please add your name – thanks. Know your enemies… and don`t think for a moment that shunning them will make them go away. so why does Nicola miss the opportunity to share a stage with the man and give him a sherricking? The actions of the snowflake fraternity make me weep. Nicola Sturgeon was due to appear on a different day from Bannon so they would not have been on the same platform. If Bolsonaro is elected you can kiss goodbye to the Rainforest. Will we allow one man to destroy the lungs of the world? BBC Ban Non ou Oui? Je dis Oui. The BBC says: the “conference is designed to analyse the big issues impacting the world”. That’s fine, then invite speakers with expertise or relevant skills or experience or perspective but above all speakers of good will. Bannon is a white supremacist intent on destroying western democracy. He is a master of fake news and every deceitful trick in the book. Telling lies is quick and easy, telling the truth is difficult and time consuming. Bannon will always ruthlessly exploit that advantage in a forum where others are bound by integrity and decency. We can refer to Bannon’s writing, speeches and actions, there is no necessity whatsoever to invite Bannon to a conference where his presence would undermine the objectives. The conference needs to address the causes and possible solutions for the rise of fake news and the far right. Giving Bannon legitimacy and normalcy only suits his agenda and those who are only interested in viewing figures. This is not about free speech – Bannon has unlimited opportunities and platforms to exploit his free speech rights. Those that think Bannon is having his free speech rights trampled on will believe that regardless of whether or not the BBC gives him a platform. This is about the urgent need to address, honestly and critically and without fear or favour the issues around the rise of the far right. The problem is that the damage has been done. Bannon is in a no lose situation, the BBC in a no win situation. Even if the BBC were to dis-invite him at this late date the result would be free publicity for Bannon and another blow for the BBC’s rapidly decaying reputation. The paradox of tolerance was described by Karl Popper in 1945. The paradox states that if a society is tolerant without limit, its ability to be tolerant will eventually be seized or destroyed by the intolerant. Bannon relies on the rule: “A lie will be half way around the world before the truth has time to get its boots on.” (Mark Twain) The BBC is doing its best to facilitate this rule.